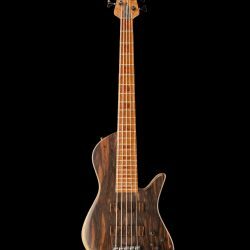 2017 NAMM bass #6 is a Emperor II 5-string that was built with a gorgeous Macassar Ebony solid top with matching wooden pickup covers. 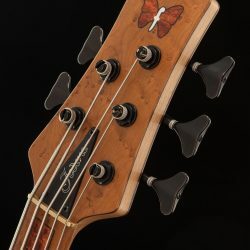 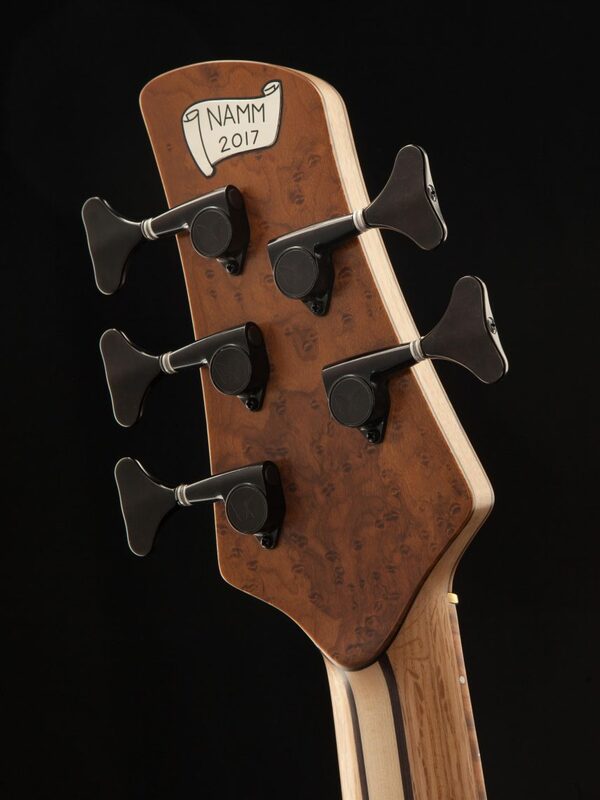 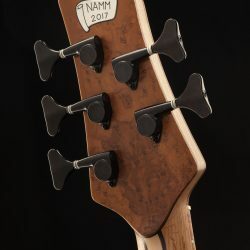 Combined with the spalted body, Flame neck center, Wenge stringers, Amboyna Burl block inlays, AND wooden butterfly, every inch of this instrument is visually stunning. 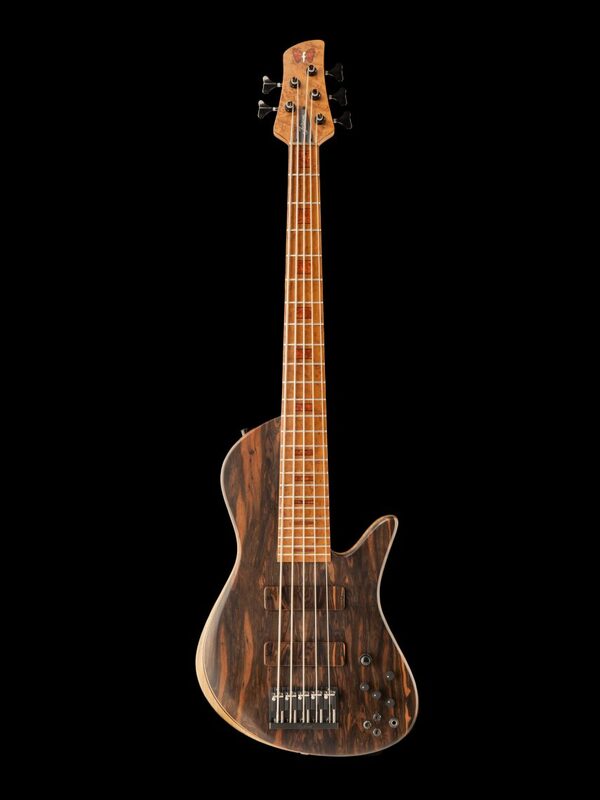 However, make no mistakes! 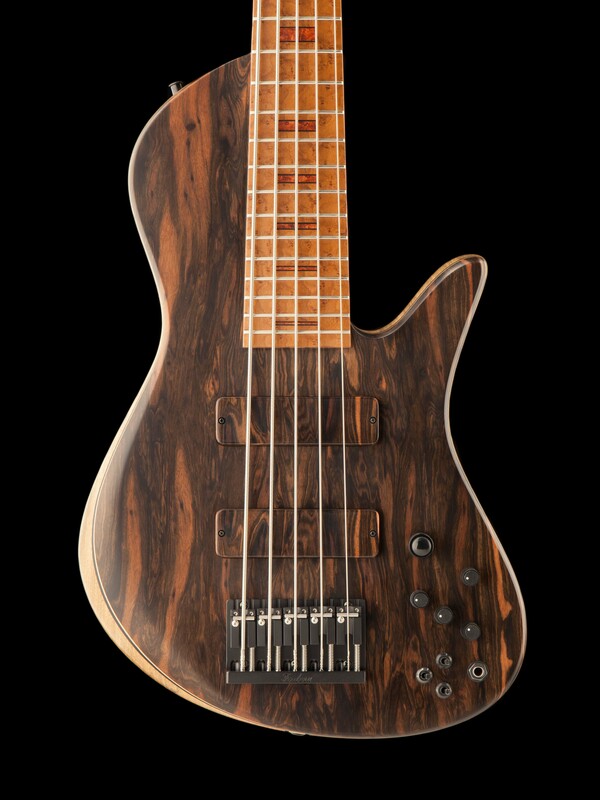 This is a bass that begs to be played! 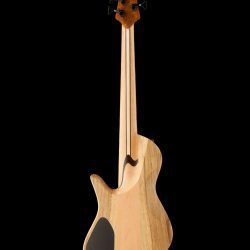 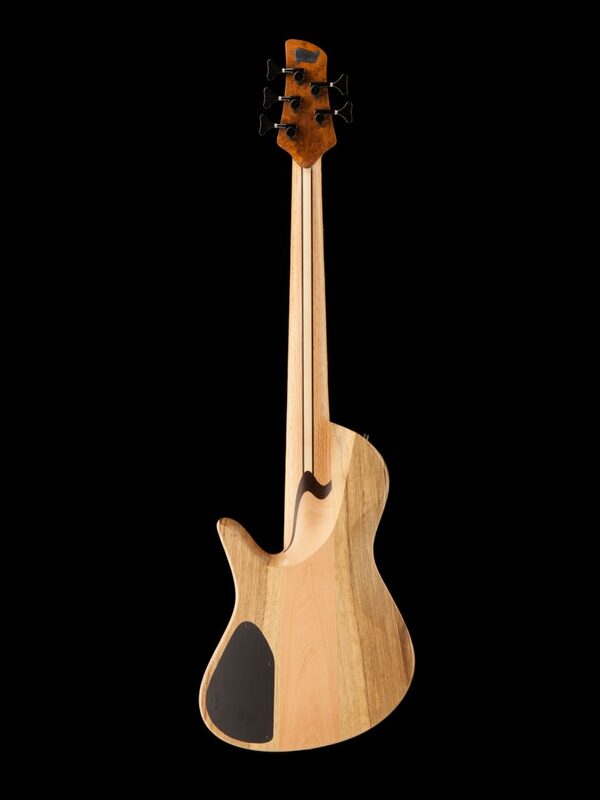 A chambered Black Limba body, Alder tone block, Red Oak neck, and Roasted Birdseye Maple fingerboard give this instrument a rich, punchy tone with a powerful, fat low end, growling, aggressive mids, and percussive, articulate highs. 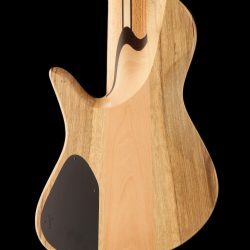 Roasted Maple is not a typical fingerboard for us, but it provides a punchy tone similar to traditional Maple, but a bit darker overall. 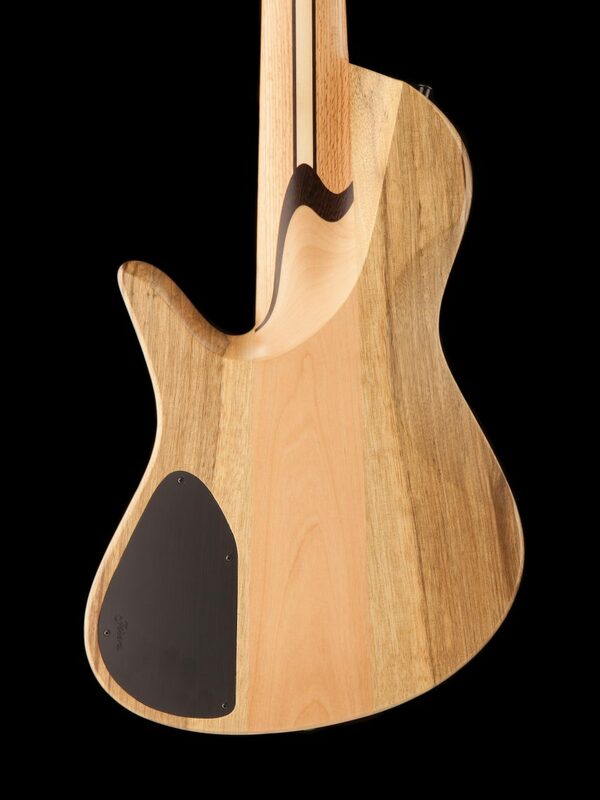 The Macassar Ebony top actually serves to balance this by putting some brightness back into the mix. 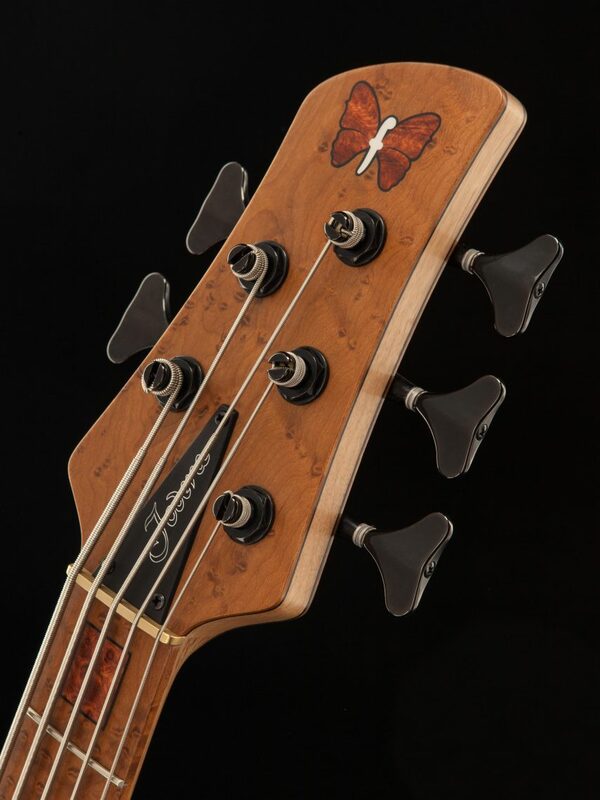 In addition, all of the materials on this bass is CITES as well as US Fish & Wildlife free.